While designing Crunchify theme, we wanted to have special CSS style sheet which we wanted to apply only on Home or Index page. Based on the theme it will be tricky to apply CSS on home/index page. But we will try to go over steps which applies to most of the WordPress theme. Check for <body> tag and find home page CSS identifier. 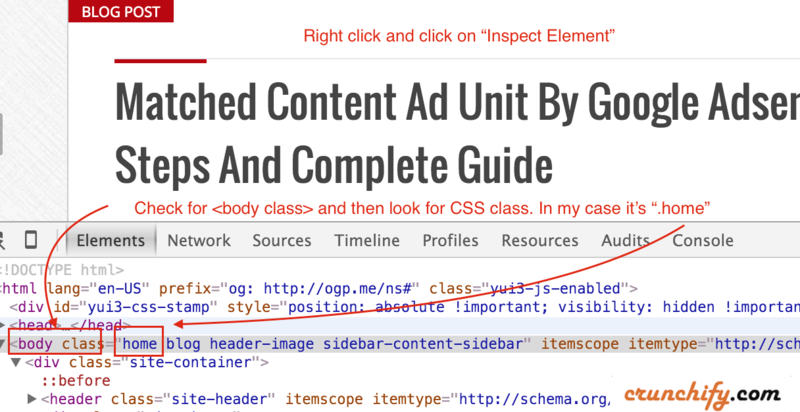 If you go to page or single post you will see different CSS class. Check those out in below screenshots. Once you identify correct CSS class just put your required CSS in your theme’s style.css file. On my theme I’ve placed below code to apply only on home/ archive / page type. On my other blog, as I’ve disabled 2nd sidebar on homepage, I’ve to change post width accordingly. For single page I do have 2 sidebars. One on left and 2nd on right. 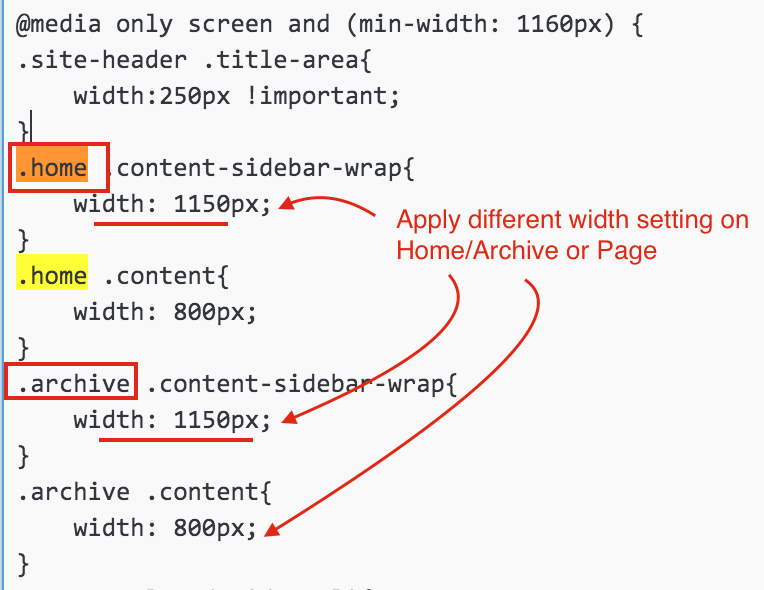 So, above minor changes in CSS helped me fix the blog width issue on different types of page seamlessly. Wonderful sir, I had to put underline my blog for single post link and with your this help I just did it in less than a minute. Thanks a lot. Super Mohoor!! Thanks for sharing your comment. Happy blogging.. Thank you. This is awesome. I was thinking I would need to use logic in page.